This is the first article about statistics that I am writing. 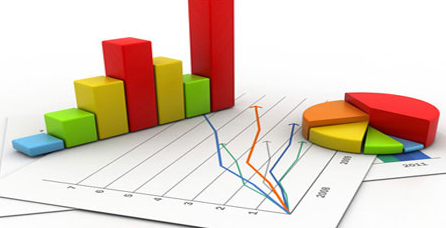 In this blog we will talk about Descriptive Statistics. Going forward we will cover other important concepts in Statistics such as Hypothesis testing, Uni-variate Analysis, Multivariate Analysis, different Statistical Models and other concepts as we move forward . So lets get started into the world of Statistics. Descriptive statistics are numbers that are used to summarize and describe data. The word “data” refers to the information that has been collected from an experiment, a survey, a historical record, etc. Descriptive statistics are just descriptive. They do not involve generalizing beyond the data at hand. These are ways of summarizing large sets of quantitative (numerical) information. If you have a large number of measurements, the best thing you can do is to make a graph with all the possible scores along the bottom (x axis), and the number of times you came across that score recorded vertically (y axis) in the form of a bar. But such a graph is just plain hard to do statistical analyses with, so we have other, more numerical ways of summarizing the data. Descriptive statistics is distinguished from inferential statistics (or inductive statistics), in that descriptive statistics aims to summarize a sample, rather than use the data to learn about the population that the sample of data is thought to represent.These provide simple summaries about the sample and about the observations that have been made. Such summaries may be either quantitative, i.e. summary statistics, or visual, i.e. simple-to-understand graphs. These summaries may either form the basis of the initial description of the data as part of a more extensive statistical analysis, or they may be sufficient in and of themselves for a particular investigation. In the next blog we will take into look at inferential Statistics and see how it is different from Descriptive Statistics.